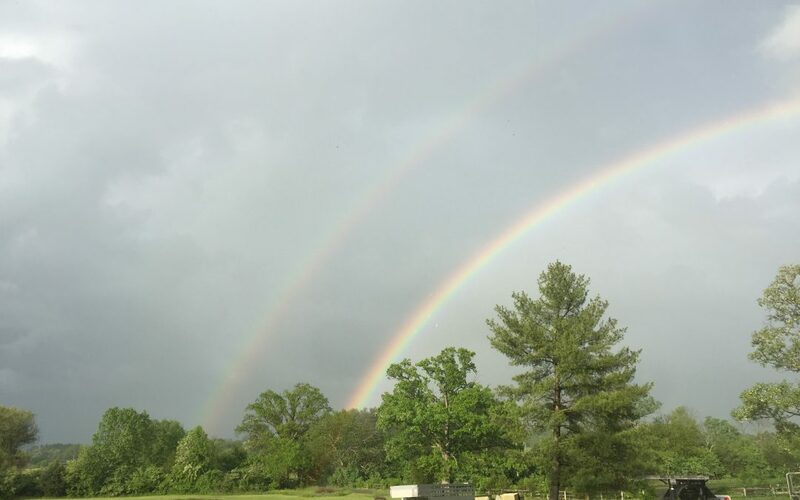 A springtime double rainbow over Shallowbrooke Farm. 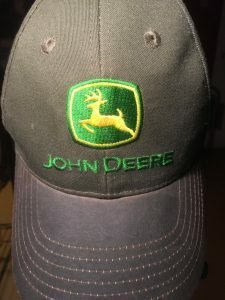 I am sitting down to write one of my first official blog posts for my new website and it has made me think of the many hats a farmer will wear in his career. I am not going to list them here, but rather ponder why I have chosen to wear this one in particular, website developer. I have just completed the monumental task of redoing the website for Shallowbrooke Farm. My old website was just six years old. That doesn’t really seem that old, even for a dog. Our lifestyle has changed and technology is moving faster than most any of us can keep up with, not to mention, the cost of our beautiful technology. What we pay for our cellular phones and plans that accompany them today would have made us laugh out loud less than a decade ago. So why did I choose to put myself through the torture of accomplishing such a task. Certainly I did it to use as fuel to write this post, I think not. Eric, Do you want to know how to make a million dollars farming? A good friend jokingly said to me, “Eric, Do you want to know how to make a million dollars farming?” This friend being a very successful farmer, in his own right, got my attention quickly. One thing I have learned over the years is to pay attention to the elders in my farming community. They have undoubtedly made the mistake your about to, and can certainly help mitigate the damage your about to create for yourself. In this particular instance the advice that was about to be imparted on me was not going to be something to squirrel away for another project, but to make fun of our industry in general. 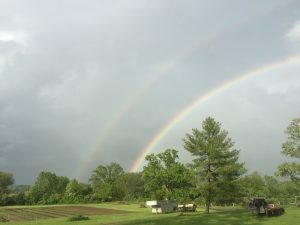 He finished his story, “If you want to make a million dollars farming, you need to start with three.” Farmers are constantly faced with decisions on how to afford to move forward without the resources that the profit margin refuses to provide for them. I think this may be the single most important factor in why farmers choose to wear so many hats. There simply isn’t enough profit for us to singularly do what each of us are best. Finance, however, is not the only reason for multiple hat personas. Farmers are resilient souls who face unplanned adversity every day. They make decisions not knowing exactly how they will turn out. It is part of the business. If they only make the decisions that they had exact answers to, no decisions would be made at all. I believe that this creates an individual that is willing to experiment, to learn new things that might certainly be outside of their wheelhouse. The funny thing about that wheelhouse; it grows, rapidly even; especially when there is no other choice. Over time those things we were not very good at become part of the routine, and even if they are not, the fear of the challenge has vanished. Farmers wear many hats, as in learn new skills, because it is a decision they can control. I can teach myself to be a better welder, I can teach myself how to fix my pickup, I can teach myself how to build this website. There is no outside force other than the task, the hands, and the mind needed to perform it. “I can do it” attitude exists, because on some days, in some situations, there is no one else.